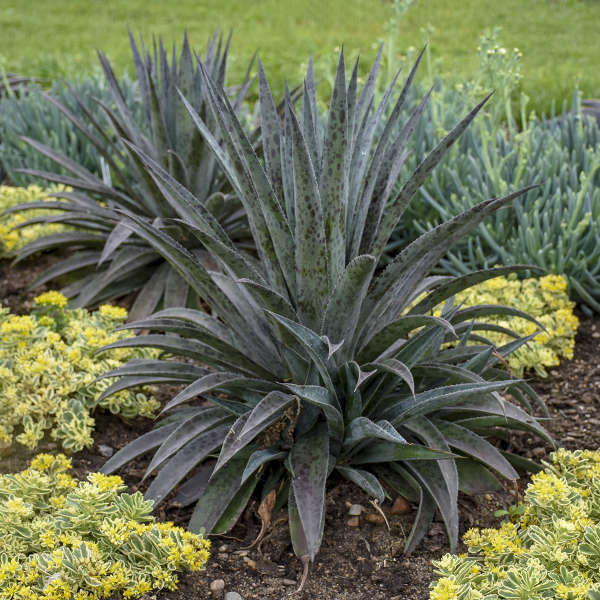 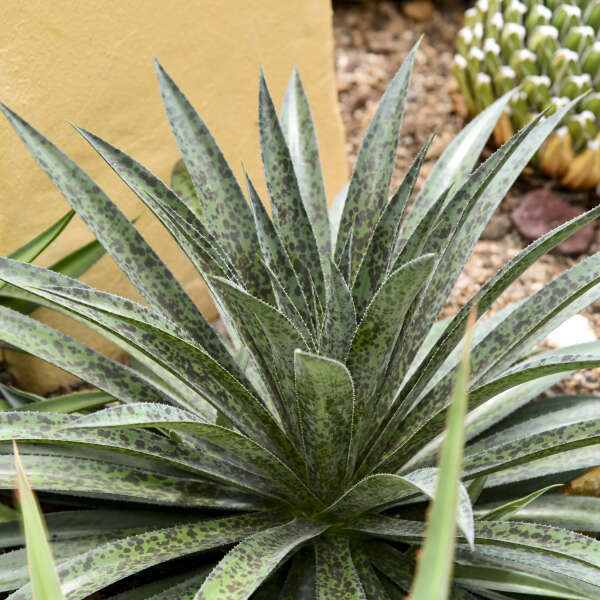 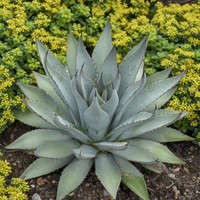 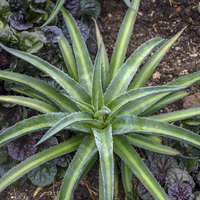 The refined, spiky habit of this Mangave will remind you of the top of a pineapple. 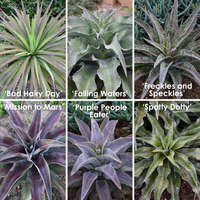 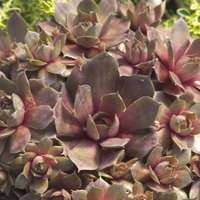 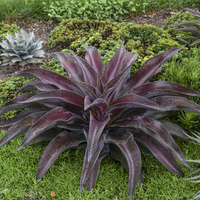 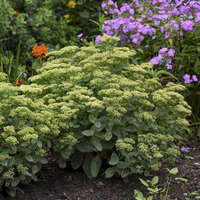 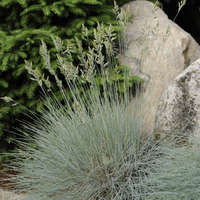 1” wide, dark green leaves are long and slender, with pronounced burgundy spotting. 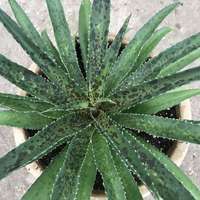 The spots will be more pronounced when in full sun and exposed to UV light. 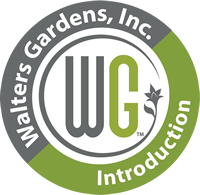 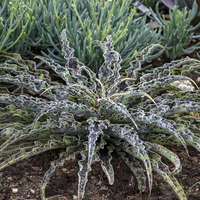 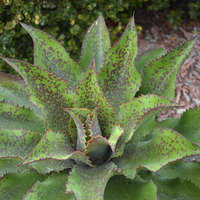 A waxy coating gives the leaves a minty-green finish. 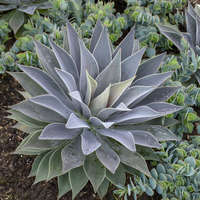 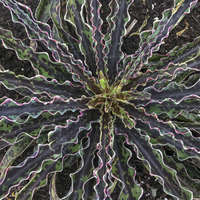 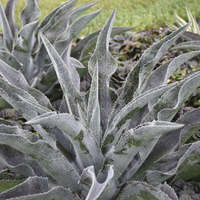 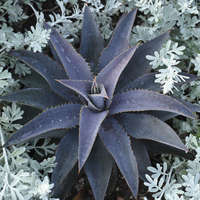 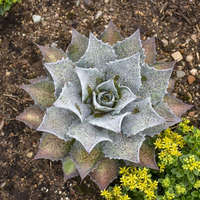 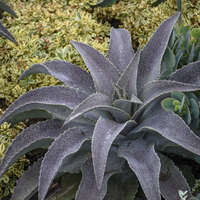 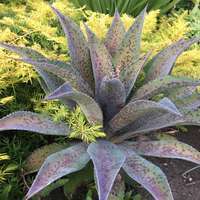 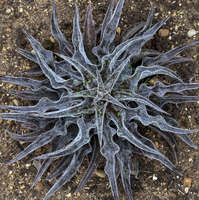 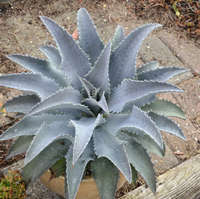 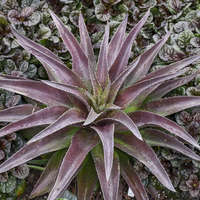 Leaves are packed in tightly to form a spiky rosette. 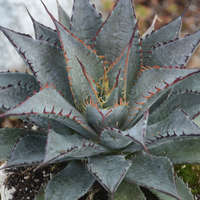 Tiny spines line the margins, and a very sharp, cinnamon terminal spine complete the spiky look. 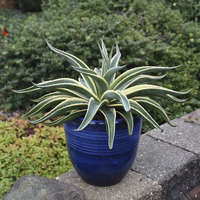 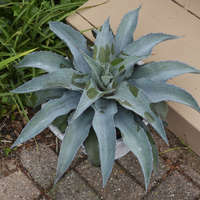 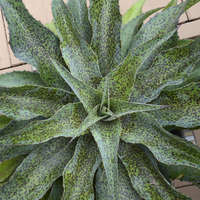 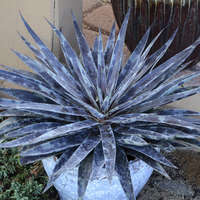 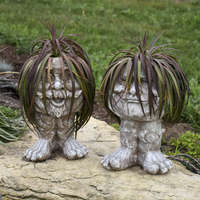 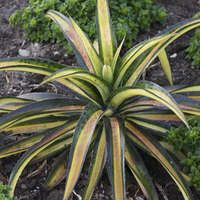 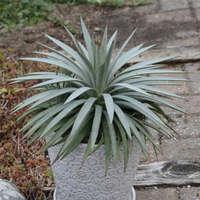 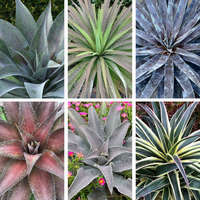 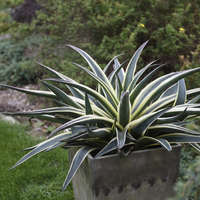 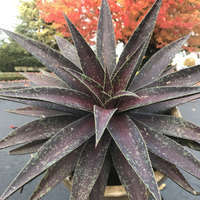 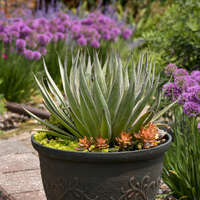 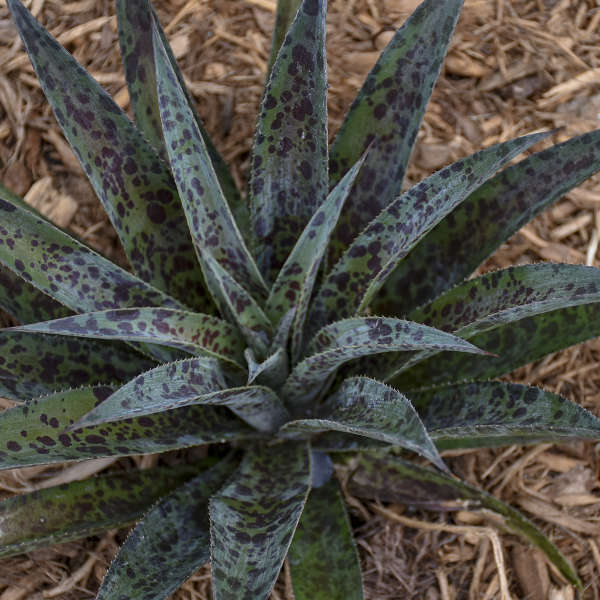 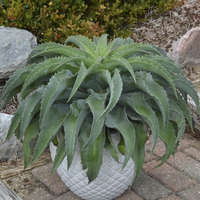 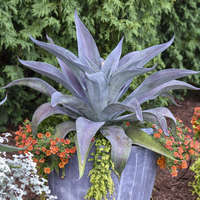 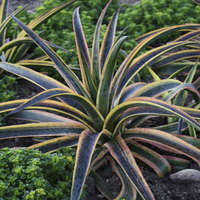 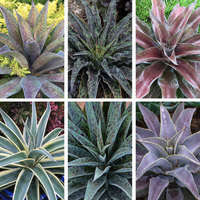 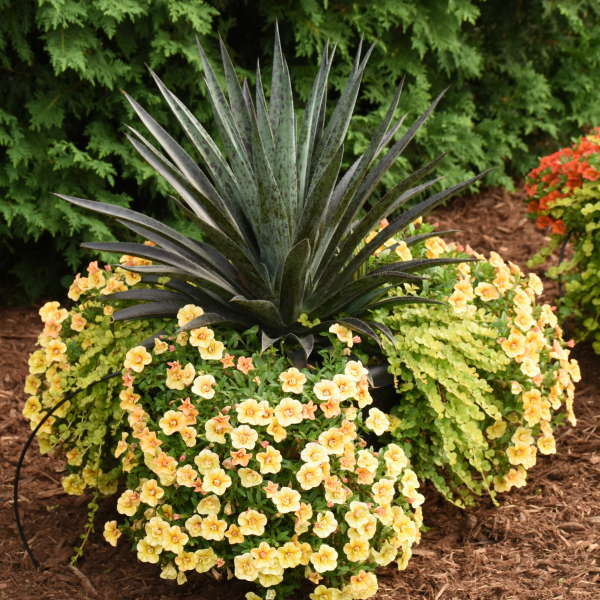 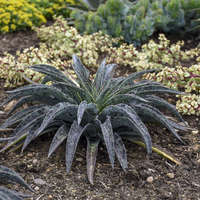 Plant this Mangave in a yellow or tan container to complete the pineapple look!